Every client is unique and every financial plan is tailored to what you need. We are truly fee-only advisors. We are not affiliated with any investment or insurance companies and we never accept commissions for anything. We are independent financial advisors who have a fiduciary duty that requires us to serve your best interests. Our clients always come first. Capital Financial Advisors of New York, LLC, provides the highest quality Fee-Only financial planning. It brings together four professionals with many years of financial planning and investment management experience and the most sought after financial planning credentials. We develop trusting, long-term relationships as a team with the goal of helping you succeed and achieve your personal objectives. 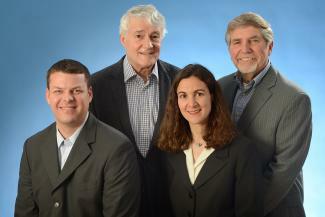 Our team has many decades of diverse experience in financial planning and investment management. Every client is unique and every financial plan is tailored to what you need. Our planning and investment management focus on your personal goals and take into account all aspects of your finances and lifestyle objectives. As fee-only advisors, we have no conflicts of interest. We are not affiliated with any investment or insurance companies. We are compensated only for our knowledge, experience and guidance. We are independent financial advisors who have a fiduciary duty that requires us to serve your best interests. As fiduciaries, we act with undivided loyalty to our clients, putting their interests ahead of all else.